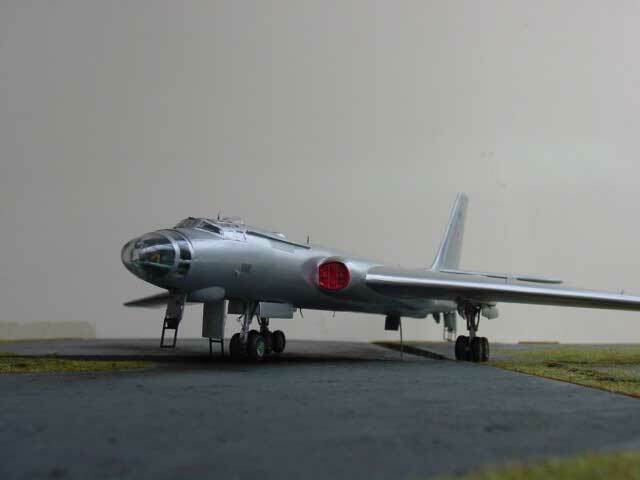 The Tupolev type Tu-16 NATO Codename "Badger" has been issued in this scale by Trumpeter from China. These new Chinese kit manufacturer succeeds in improving it's kits all the time. This kit is very good indeed. It is priced in Holland at about EURO 40,- which is good value for such a large and nice kit. You will get not only the very large plastic parts required but also included in this box are etched metall detail parts and a photo negative to represent the main instrument panel! Nice touches! 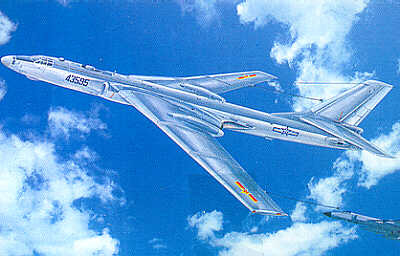 The kit has been issued in several versions; this kit being the Chinese Badger H-6 Kit No. 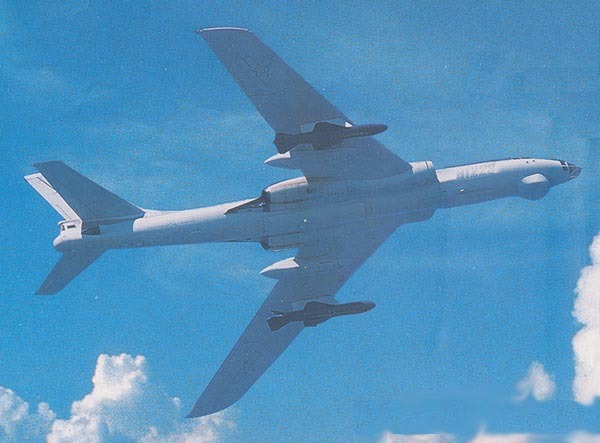 01614 refuelling tanker version, including the refuelling pods. 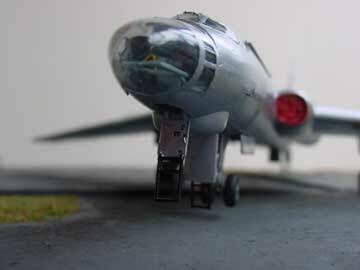 This one is subject of this page; other releases are Soviet Badger, including USSR decals and markings for an Iraqi aircraft. 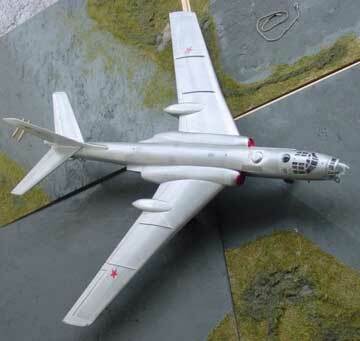 I choose to make a Soviet plane. The Trumpeter kit is impressive; fit is generally good and the panellines are engraved and accurate. 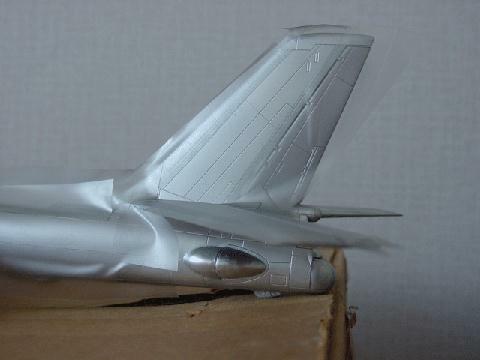 - I engraved the flying surface areas with the special Olfa P-cutter; the flaps need to be emphasized especially, both on the upper wings and lower wings. 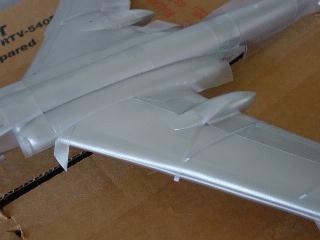 I also cut in the gaps on the flying surfaces. 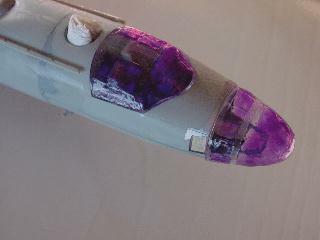 - I added some detail at the rear cabin at the tail; the blisters show the details. 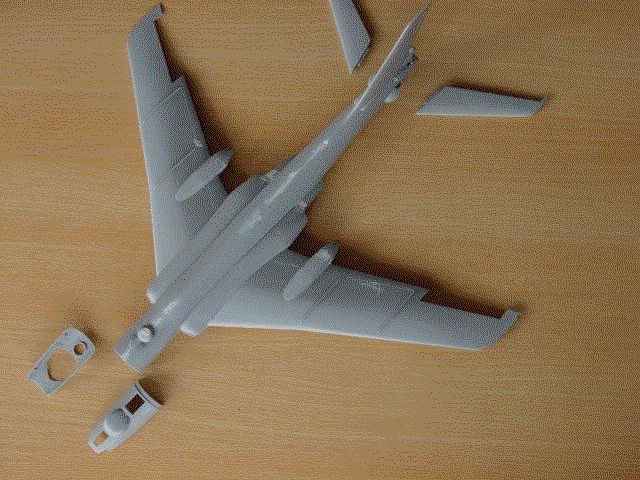 The kit seems to be quite accuracy both in dimensions and looking at the general shape. This is not so surprising as it seems that Trumpeter from China got access to a real airplane to take measurements. 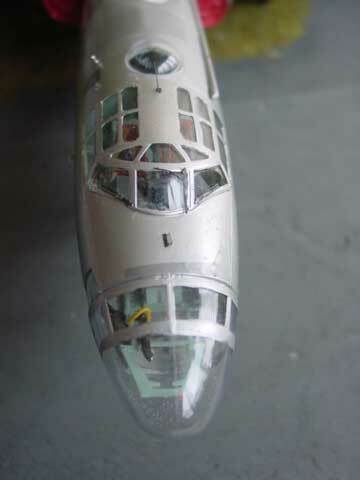 Next step will be to complete the cockpit area including all fine supplied detailed parts on seats and instrument panels. The Badger front section has been added and sanded flush. 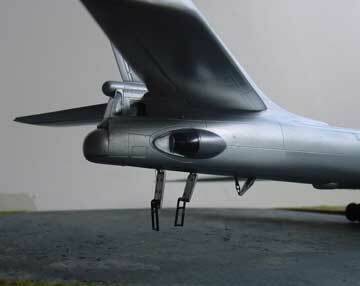 Long but small gaps between wings, fuselage etc have been "filled' with white glue. 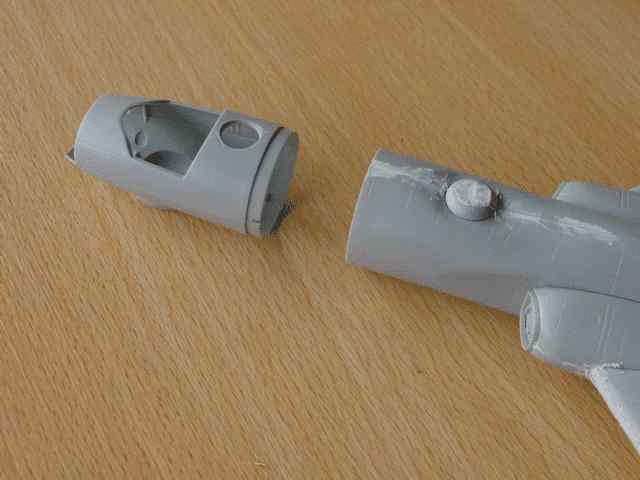 The model is now ready to receive its first overall coat of paint. 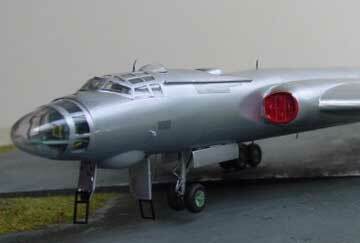 The model was given a first light overcoat of aluminium with a Badger airspray. I polished to applied clear coat and added a new coat of aluminium paint. It worked! I got a nice scratch free finish. 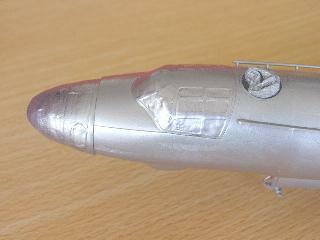 New, I masked of some areas and added a different colour of Metal, this time Testor Aluminium metalizer paint. After 15 minutes drying, I buffed up this paint with a piece of cloth. The Badger now has some different shades, adding realism to this model. I also added with a large brush a final Johnson clear coat once dry to seal the paints. Next step will be further completion with the undercarriage, hatches etc and obviously the decals. The kit was further finished. 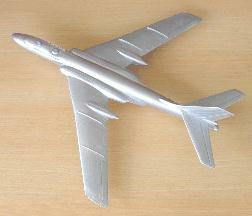 many smaller metal etched parts are supplied, but strangely enough were not mentioned in the instructions. Extra's that can be applied with these parts are the windscreen wipers, smaller antennas. 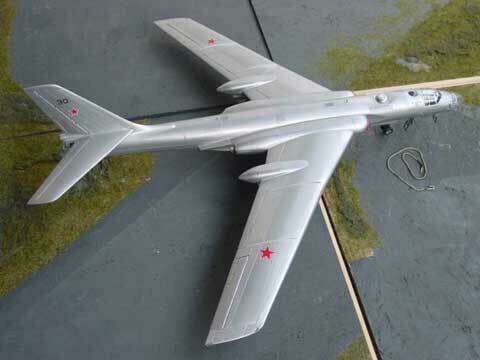 The model was finished as a Soviet Tu-16K, Badger G ; soviet "red stars" came from the spare box with single number on the tail. 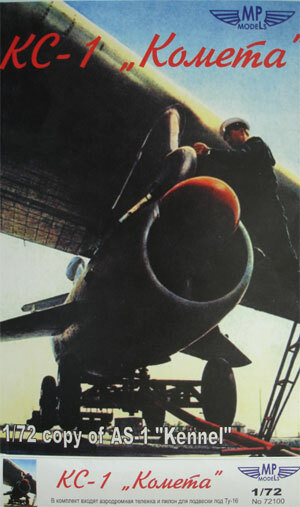 Additional colouring was applied with red intake covers and painted aluminium metal decals in places at several panels. 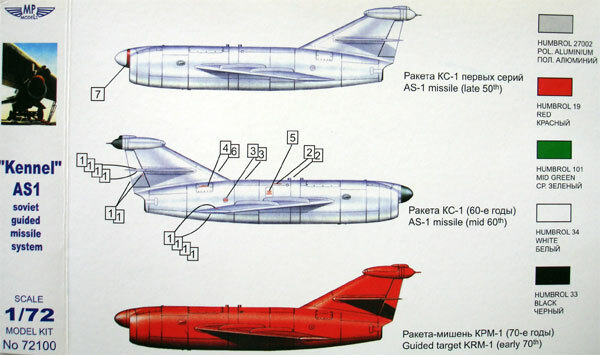 a very nice model in the Soviet plane collection..
A kit was separately purchased for the typical AS-1 missile with NATO name "Kennel". The kit from MP models is fine with few parts and includes a simple trolly.